Campus research centers play an important role in enabling NSF-supported science projects of all sizes. 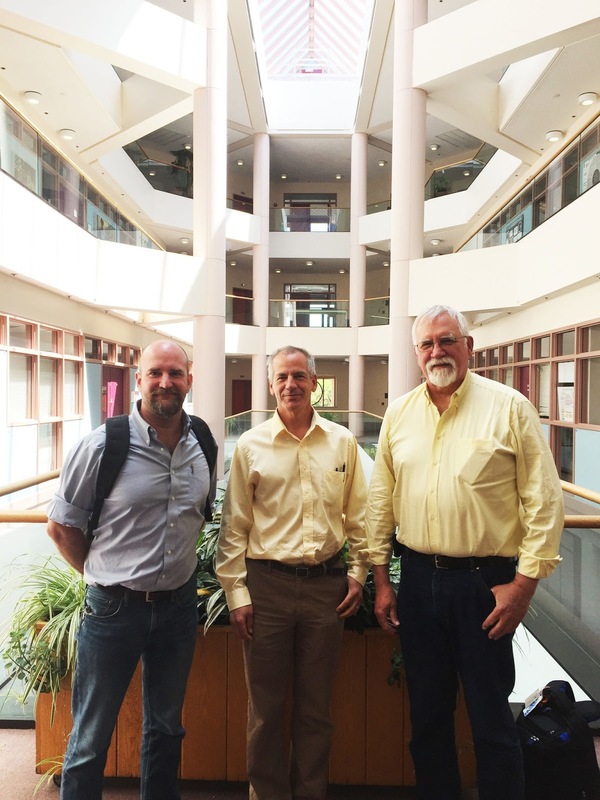 A recently concluded engagement gave us the opportunity to impact open science at the University of New Hampshire, potentially for years to come. CTSC and the University of New Hampshire Research Computing Center (UNH RCC)(funded in part by the NSF CC*DNI program, Grant #1541430) have completed a successful engagement to assess and facilitate the reasonable maturation of UNH RCC’s information security program and positively impact the security of the cyberinfrastructure and trustworthiness of the science UNH RCC supports. Following a period of fact-finding, CTSC delivered a containing specific prioritized recommendations grounded in best practices for maturing the UNH RCC program. As a first time experiment, CTSC performed the site visit more than a month after delivering the report (rather than during fact-finding), giving time to plan and conduct a period of collaborative work in preparation for the site visit where meetings, training sessions, and other activities leveraged the report to build momentum, and maximize the its positive impact. CTSC and UNH RCC engaged in ten one-hour video conference calls in the course of the engagement. These calls were primarily in the fact-finding phase of the engagement and were key to clarifying the computing environment at both UNH and UNH RCC. While web searches provided information about the publicly documented environment, a number of additional documents and diagrams were made available to CTSC. The subsequent report comprised three key sections of recommendations. The first section, titled “Recommendations for Pivotal Actions”, contained two recommendations relating to strategic actions to consider about its approach to cybersecurity in the context of the UNH system. The second section, titled “Recommendations for actions best implemented at the university level, but may remain UNH RCC’s responsibility”, contained six recommendations for high impact actions for consideration if UNH RCC maintains the status quo of relative independence from UNH IT and responsibility for its own day-to-day security practices. These recommendations ranged from selecting a cybersecurity framework to patch management and network monitoring. The third and final section, titled “Recommendations best implemented at the research computing center level”, contained seven actions for consideration regardless of the disposition of the pivotal decisions. These recommendations ranged from asset inventory to change control and developing a core information security policy. Throughout the report we made frequent reference to The CIS Critical Security Controls for Effective Cyber Defense, Version 6.1 and also referenced the Australian Signals Directorate's Essential Eight. UNH RCC organized and facilitated CTSC’s site visit. We met with a wide range of stakeholders, including the UNH SVP for Research and the UNH CIO, the faculty advisory committee (plus interested researchers), general counsel, and the UNH RCC software development team. Many meetings included not only the engagement team, but also representatives from the UNH IT cybersecurity team. Topics for the meetings included: addressing contractual requirements for protecting Controlled Unclassified Information; developing an Acceptable Use Policy; Freedom of Information Act considerations; and both overview presentations and detailed discussions of the recommendations in the report. CTSC presented new material on selecting cybersecurity frameworks and control sets, and the group delved into implementation details of the Critical Security Controls. In the wake of this site visit, UNH RCC has prepared a “summary of the plans for implementing cybersecurity recommendations that resulted from a UNH collaboration with the Center for Trustworthy Scientific Cyberinfrastructure (CTSC)”. In addition to meetings at the university level regarding funding and integration with UNH IT, the summary describes plans for implementation in six- and twelve-month timeframes to improve cybersecurity for the three categories of UNH RCC systems. CTSC will track progress via an evaluation questionnaire at those intervals. UNH RCC and the UNH information security demonstrated impressive commitment throughout the engagement. There were always 4 to 6 people from UNH on each and every of the ten conference calls. UNH RCC supported the use of Zoom for teleconferencing and of Box for sharing documents, technologies not used in prior CTSC engagements. UNH RCC maximized the effectiveness of the site visit of the CTSC team with meeting schedules with the engagement team plus others on each of the detailed recommendations, and with senior University officials to make the case for the pivotal recommendations.